Perfect vacation or primary home in sought after Country Village community close to the beach with wonderful amenities. 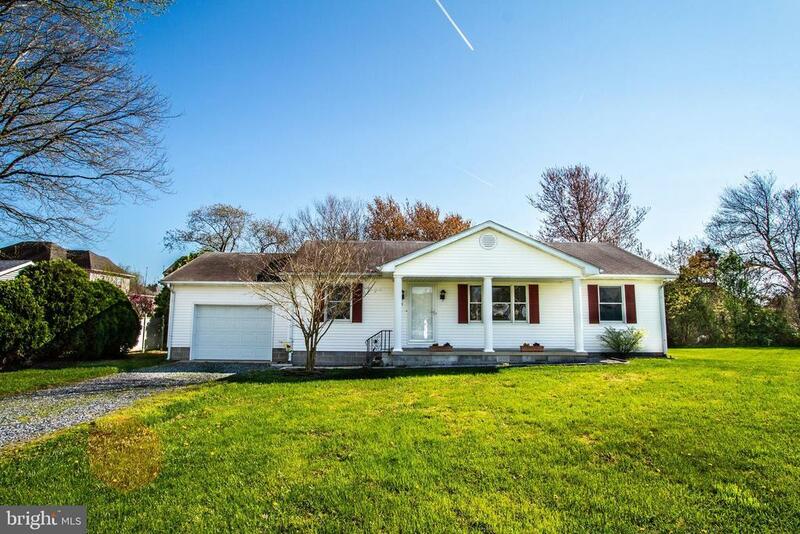 Move-in ready, well maintained ranch style home on one of the largest lots in the community - over half an acre! Only 3.3 miles to Bethany Beach with its Family Friendly Boardwalk. Close to the big Boardwalks of Rehoboth Beach and Ocean City, MD. Enjoy tax-free outlet shopping in Rehoboth Beach, and all the fine dining and Family dining the Delaware Resort Area offers. Country Village is a small quiet community with low HOA. Home features a cozy front porch and large rear deck. Would make a wonderful year-round home or second home. Low Delaware property taxes make this a must see property! Close to Bethany Beach with its Family Friendly Boardwalk, free summer entertainment, Family and fine dining, shops, etc. Dont let this opportunity pass you by. Directions: Route 1 to Route 26. Turn South onto Central Avenue in Ocean View. Turn into Country Village across from Ocean View Police Station. Make first left onto S Primrose and continue to property on left.